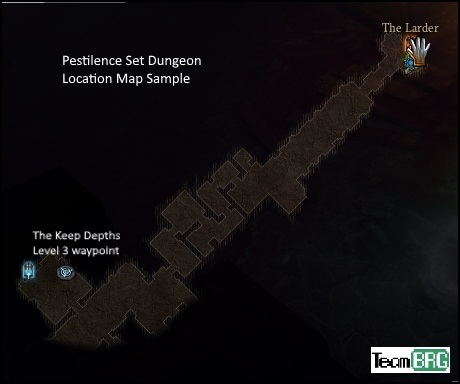 Diablo 3 Season 12 | 2.6.1 Pestilence Master's Set Dungeon: info on Build, Map and Tips to clear and MASTER Pestilence Set Dungeon! Hey guys! 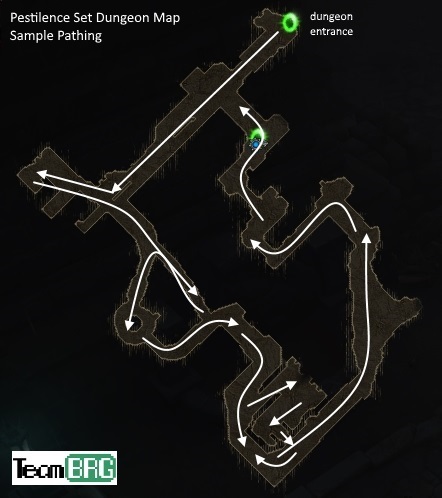 Welcome to our Necromancer’s Pestilence Master’s Shroud Set Dungeon Guide. Here we will talk about what build to use, skills, items, notes, map and more! As for the gems, highest Topaz on body for more bipping power, Topaz on helm for Essence cost reduction; highest Diamonds on body for added resistance. Equip gems as needed. Where’s the Pestilence Master’s Set Dungeon? It’s located in Act III The Keep Depths Level 3. The Pestilence Master’s Shroud Set Dungeon Map / Layout? Objective: Hit enemies 150x with Empowered Bone Spears. This is dumb. Literally, it’s the only way you’re going to pass the dungeon anyway – by killing monsters. I struggle to think how you will clear the dungeon without smashing this objective passively. Objective: Don’t take 400k damage. We chose a super defensive setup for this, abusing Molten Wildebeest’s Gizzard’s shield, along with Esoteric Alteration. Proper Rolls: Some armor rolls go a LONG WAY in increasing your toughness – Stand Alone (Passive) works hard here. That being said don’t be dumb. Don’t simply stand there and get smashed. A little effort goes a long way in succeeding this one. NOTE THAT THERE ARE SOME “BUGGY” NECRO SKILLS that increase your MAX HP, when it goes away it may count as damage for the purposes of this objective. None of which are listed in the build, but if you chose other skills this may be a problem you’ll face. 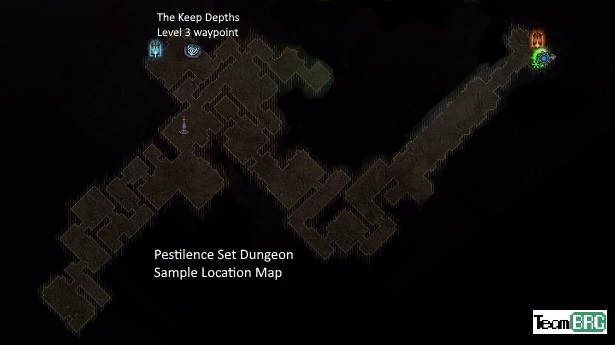 Pestilence Masters’s Shroud Set Dungeon – Mastery: The small layout of the Necro dungeons along with the buffed duration on all set dungeons makes this a walk in the park. The damage objective may catch you off guard here and there but there really is no magic solution for that.